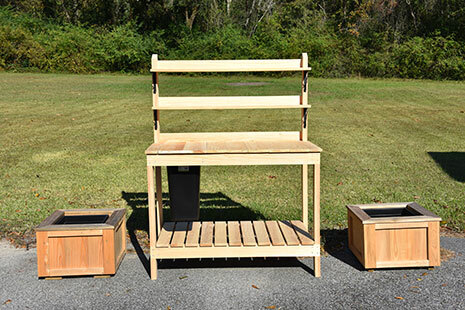 Handcrafted Solid Cypress Potting Bench Features Two upper shelves for pots or nutrients, a removable section to allow access to a large bin for mixing potting soil, bottom shelf has open slats for cleaning ease. 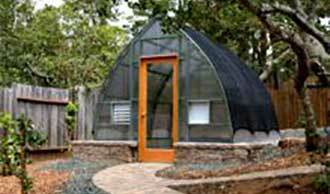 This is truly a beautiful functional show piece for your greenhouse. Cypress naturally is insect resistant, a green resource and is perfect in wet or humid environments.